It was recently pointed out to me that the wood of Box Elder trees (Acer negundo) often exhibits a reddish stain. I was curious to find out what caused it. After some research, I learned that typically, the stain has been attributed to the fungus Fusarium reticulatum, but that research done at the U of MN has shown that the stain is not associated with any particular species of fungus. Instead the stain is likely a result of some compound produced by the tree to protect tissue after it is compromised in some fashion. What actually causes the stain was undetermined by the study; the compound is broken down quickly after it is produced (the authors of the study speculate that it is a phenol that oxidizes to produce the stain, but that detail will be left to the distracted chemist to explain further). 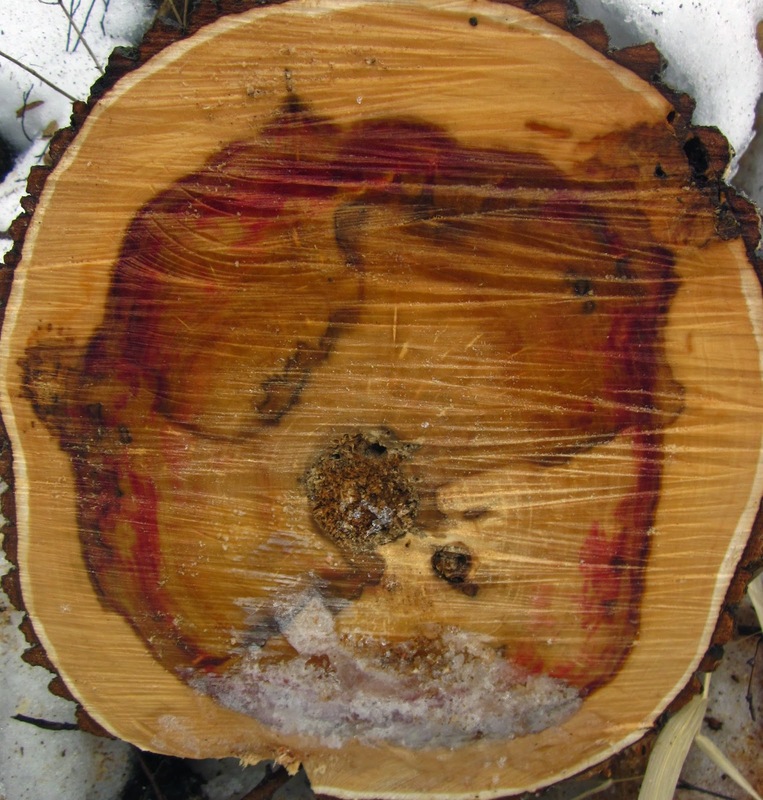 The above picture shows a box elder stump with the red stain along with a network of black lines. 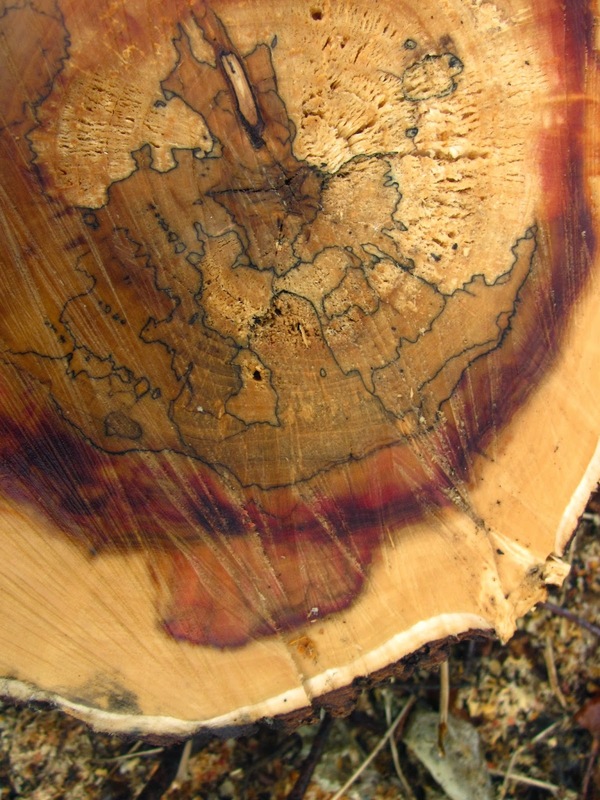 This is know as spalting, and is attributed to fungal decay, though as far as I know, not any particular species. Box Elder wood is not widely used since it is a relatively weak and rot-prone wood. But wood with the red stain is used by wood workers to make smaller, ornamental objects. This wood makes a great medium for wood turners... the coloration makes for some very beautiful work of art as well as practical utensils. The small ones make beautiful walking sticks too! Again, thanks for the comment. I like the walking stick idea. The atmosphere, ambience and the warmth of any home can give the place an edge over others. The timeless elements of home in it are worth to welcome the visitors. Wood flooring provides color, strength, texture to home or office furniture. Wooden flooring or furniture is the basic object between common man and royalty.